Three years after losing her family in a car crash, Grace MacKenna is set to inherit her stepfather’s ancestral estate among the mountains of West Virginia. Seeking solace and healing, Grace discovers the ghost of William Kavanaugh, a dashing Civil War captain in Virginia s 17th Infantry, haunts the property. When William charms Grace into investigating the mystery that led to his death a hundred and fifty years ago, she finds herself drawn into a world of chivalry and honor, but also deception with secrets too dark to speak aloud. Meanwhile, Clay Baxter, home from service in Afghanistan, fights his own demons and ghosts. When Clay senses Grace falling deeper into the realm of the dead, he seeks to pull her back. But is he too late? D. L. Koontz was born in Pennsylvania, but with her husband, now splits her time between their home in mountainous West Virginia and their cattle ranch in coastal plains Georgia. She has a son and a stepdaughter. A member of ACFW (American Christian Fiction Writers) and ASJA (American Society of Journalists and Authors), she is a former journalist, business consultant, spokesperson, and college instructor. 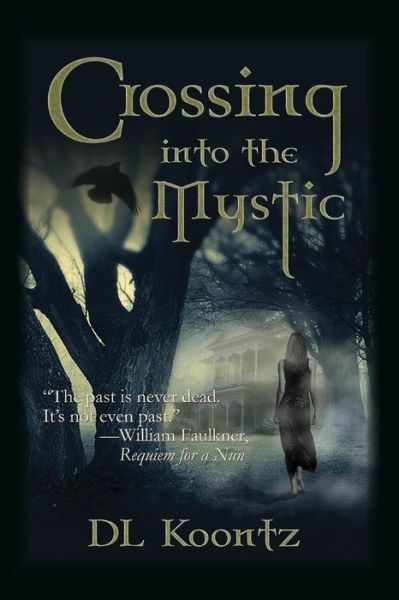 After several non-fiction books, Crossing into the Mystic is her first novel. Hello, I’ve nominated you for the Very Inspiring Blogger Award. Crossing Into The Mystic sounds like a really great read. Will it be a stand alone novel, or are there more books to come?